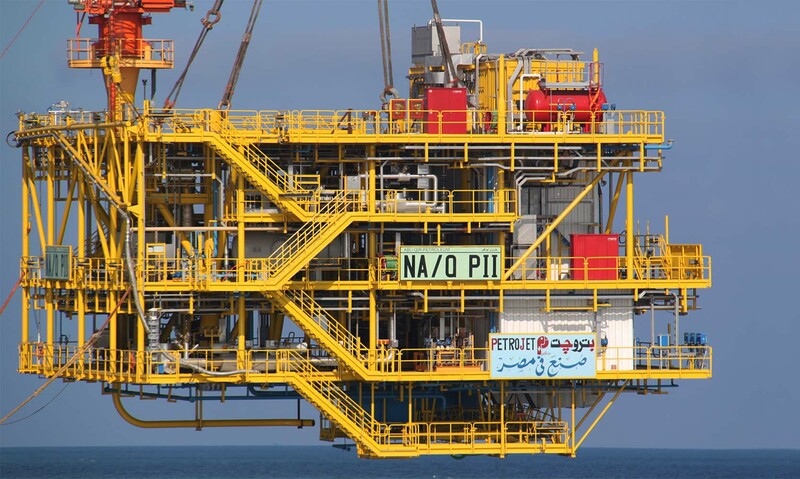 NAQ PII is a minimum facilities type platform, connected via a 5 km sea line to NAQ PI platform that provides the main service of gas separation and conveys the product to A/Q PII platform. 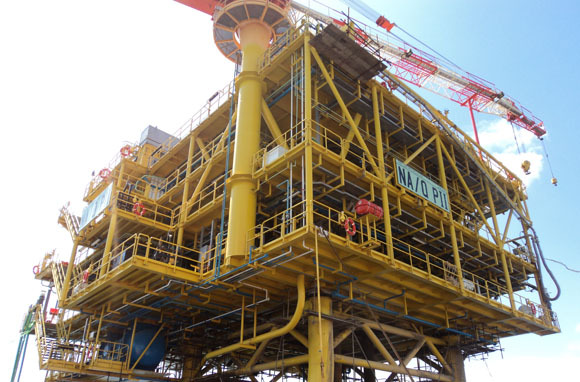 The platform is designed to accommodate four wells according to a pre-existing template installed on the seabed during the appraisal phase, plus two additional slots for future installations. The water depth at site is 28.5m. The Jacket is a fixed 4 leg lattice structure sustaining a well-head module and a 3-levels integrated deck. It is provided with a boat landing, four barge bumpers, a 12” riser and a sump caisson. The foundation system is made of open ended steel piles driven through the jacket legs and connected to these last by welding crown plates at their top. The well-head module is a two-levels tubular structure, partially integrated in the topside, suitably designed to accommodate the well Christmas trees and to allow the well drilling prior to the topside installation. The deck is an integrated four-leg structure with three levels, provided with purge burner, crane, helideck and emergency shelter. The main dimensions are 22.5m x 23.5m.